Now that testing has come and gone, and we’re 2 weeks away from the start of the season in Melbourne, we’re a little closer to understanding where all of the teams will be in performance. We still are essentially guessing, as a variety of factors can prevent onlookers from getting a true sense of where the teams stand in ultimate pace. Here’s how I would rank the teams based on what I’ve read over the last couple of months. 1. Red Bull – clearly they have a great car again. It looks to be more reliable than the previous model, at least at the beginning of the season, but you really never know. Regardless of reliability, I think they’ll prove very hard to beat this year, especially as Vettel now has all of the pressure off him as he’s already achieved his ultimate goal in the sport. Not only this, but he and the team have just agreed to and announced a two year contract extension that ties him to them until 2014. The speculation regarding team switching has been silenced for at least the next two years, if not 3. Not many people would want to bet against him and Red Bull repeating their success. 2. Ferrari – It was essentially a two horse race last year and Ferrari, despite their strong car and very strong driver lineup, especially Fernando who didn’t struggle with the tyres like Massa did. I think Alonso did a great job fitting into the team instantly last season and this year should be stronger. Felipe looked a shadow of his 2007 – 2008 self last season and I really hope he can get it together this year. 3. McLaren – While I did say that last year was a two horse race, it would really have been 3 had Lewis not had his extremely costly mid-season slump last year. Despite crashing out at multiple races where he could have challenged for podiums or even wins, he still was technically in the title fight until the last race. Jenson did well to win two wet races but he needs to step it up in the dry. The less durable tyres should help him more but we’ll see. The team has had a tough testing and people are starting to write them off. Personally, a company with the resources of McLaren can never be written off. 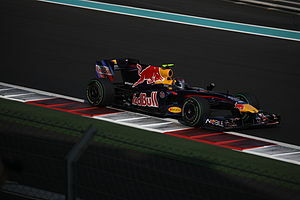 Even in 2009 when they misjudged the new regulations and built a very bad car to start with, they were winning races in the second half of the season. I don’t think this car will be anywhere near as bad as that one was because the rule changes this year aren’t as all-encompassing, and you would think it would be hard to lose that much speed in one off-season. I think that even if they take a few races to get up to speed, they will be there sooner rather than later. 4. Mercedes – The fourth spot is a very tough call. The reason I’m going with Mercedes now is because I feel that over the season they are more likely to have strong upgrades to improve the car. Williams might fall back over the season if their development is not as strong. Mercedes appeared to bring a very strong update to the final test last week and their performance looks promising. Whether the other teams have more developments at the first race that will push them back ahead is unknown, but for now they seem to be in a much stronger position than they were last year. 5. Williams – I think Williams could fill the fourth spot at the beginning of the season if their car’s revolutionary gearbox provides a strong performance benefit over the other cars. What could happen though is something similar to 2009 where they were one of the three teams to start the season with the controversial double-diffuser. Despite having this great advantage in the first few races, they didn’t really capitalize on it when they had the chance. When all of the other teams incorporated their own versions of the device, Williams fell down the grid. I hope that this scenario doesn’t play out again if Williams do find themselves with a competitive car in Melbourne and I hope they can keep in contention for strong points throughout the season. 6. Renault – This team were dealt a massive blow with the injury to star driver Robert Kubica, who they can’t really replace fully. I think Nick Heidfeld will do a strong job for the team, but I don’t know if they will be able to challenge the 3 top teams. I really hope they can and their car proves to be as good as it looks. 7. Toro Rosso – This is a team that everyone is touting as having made great progress in their new car. It apparently has a kind of double-floor concept which is very innovative, and if it works, could really help them climb up the grid this year. Hopefully it’s also something that is not easily copied if it is an advantage, in a similar way to Williams’ diffuser. Their drivers will have immense pressure on them to perform. They would have done anyway with Daniel Ricciardo looming over their shoulders as the third driver, ready to replace either one of them mid-season if they slip up. With a competitive car, the pressure will be even higher, with them being expected to score points regularly and maybe even collect a podium or two if they really have something special on their hands. 8. Sauber – I haven’t heard much about the Sauber car this year. Like the new Williams’ car it almost embarrassingly for one driver, Sergio Perez, is adorned with advertising from his native Mexico. This makes both him and Pastor Maldonado look like pay-drivers not there on talent alone which is unfortunate and not how the sport should be. I do think though that he is a good driver and like his team-mate Kobayashi did last year, will bring excitement and a fresh feeling to F1 which would be great. Their car seems to be an unknown quantity at the moment which is very interesting, but I still don’t think they will challenge too many of the teams above them. 9. Force India – I think this team will struggle to be as good as they were at the start of 2010. They gradually faded in performance throughout the year and I don’t see how they will be able to claw that performance back now. They are one of the lower budget teams and this, coupled with the fact that many of their top technical staff have either gone to Sauber or Lotus will really curtail their progress in designing their 2011 car. Paul Di Resta will be the exciting ingredient in their 2011 season regardless of how competitive the car is. He could be a real star of the future. 10. Lotus – Team Lotus are the only one of the new teams from last year to have a realistic chance of catching up to the back of the established group of teams this season. With the Renault engine supply and Red Bull gearboxes, their performance will be far stronger than last year right off the bat. Not only this, but they have gone for a much more aggressive aero design this year which should also dramatically improve their pace. I’ll be disappointed for them if they aren’t fighting the two or three teams above them in the first few races. If they still can’t join the midfield by the end of the season, then I’m sure the guys there will consider the 2011 campaign a total disaster so I hope it doesn’t come to that. I do think that their 10th place prize money is pretty much secure already though, unless we see some big surprises. 11. Virgin – Disappointingly, I think Virgin’s progress won’t be enough to lift them into the mid-pack of teams, or even stay with Lotus. They aren’t running KERS and also are stuck with the Cosworth power which supposedly is the weakest engine on the grid, even if Williams are using their expertise to get more out of it. The car looks nicer than the first one but I don’t think it’ll be enough. 12. HRT – The biggest surprise HRT could produce this year would be if they weren’t absolute last in everything. Their car definitely looks better this year, at least in its livery. Performance wise it’s hard to say but considering they only started designing it fairly late into the year after their agreement with Toyota fell through, I can’t see how they could have improved that much. I’m pleased to see Tonio Liuzzi back on the grid in 2011 as I feel he was treated very badly by Force India who clearly wanted to force out Tonio and replace him with Paul Di Resta. There’s nothing really wrong with wanting to go in a fresh new direction, but they should have been up front and honest about it much earlier in order to give him more time to find a new seat. Luckily, he managed to secure the final one on the grid. Narain Karthikeyan seems like a nice guy and a fast driver, certainly popular when he was racing in the Nascar Truck Series last year. I think he’ll be good for the paddock if nothing else. I hope that I’m wrong with these predictions. I would love to see Williams and Renault out front in the opening race, and have a story like the Brawn GP one from 2009. It seems unlikely, but you never know in this sport. I’m really excited about the start of the season.